This week on Cutting Chai, we take you on a bit of a journey with two stories (and several related links) from the opposite ends of the Indian subcontinent. One is a podcast I discovered on iTunes called Musafir stories, Episode #034, which an interview with Vishwas who speaks about the nomadic Changpa community of Changthang in Leh. 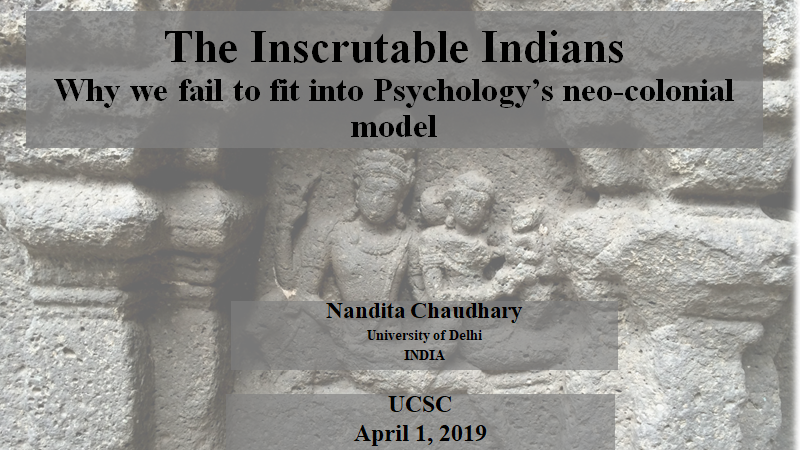 And the other is a story that was shared by a friend, Renu Kishore on Facebook about an Indian anthropologist, Madhumala Chattopadhyay, who studied the Sentinelese, a pre-Neolithic tribe of the Andaman and Nicobar Islands in the 90’s. Although not specifically focused on childhood, both these stories are illustrative of the immense diversity that survives in India under Constitutional protection. Yet the threats to their livelihood is very real. Like the Bo community of the Andaman Islands who recently lost their last surviving member, these people live in a precarious balance between forces of development and sustainability. There is an urgent need to understand that in the interest of humanity we need to do everything within our power to sustain diversity. This stands in conflict with the agenda of development, modernization and progress, and there are no easy answers to this debate that becomes even more critical when we address “interventions” in the areas of childhood and family welfare. Perhaps the ultimate entry of modernity into their lives is inevitable as such spaces shrink and communities and languages die. We may be the last generation on earth that has the privilege of living in such a world. Several countries have pushed indigenous communities into circumscribed spaces, reservations, and those plans have had serious consequences for indigenous people, and as a nation, we have to prevent ourselves from making the same mistakes. In the name of upliftment and development, Government policy can become antagonistic towards social justice and people’s rights to indigenous ways of living. In several tribal regions in India, the conflict between rapid industrialization and the rights of people to their forests is very serious as scholars like Nandini Sundar have argued. The recent news of the killing of an American missionary, Allen Chau, has triggered important debates related to the protection and preservation of isolated communities. The stories are complex and there are many sides that need to be considered while developing policies and programmes for sustainability. Given the unique features of our history and geography, we need to find our own solutions. “The famous pashmina wool is made from the wool of the sheep and goat of this region, which is then crafted by Kashmiri artisans and is very valuable. The Adventure Sindbad team does a recce of the area well in advance and establishes contact with the nomads in order to ensure the group isn’t being intrusive. The rebo or yak wool tents of the Changpas are the epitome of minimalism and simplicity. The tents contain a kitchen, a dining area, sleeping area and a prayer room. The Changpas usually own anywhere between 100-800 sheep and start the day early by milking the goats and sheep. Some of the family then heads off to graze the sheep, while one or two family members stay back and take care of the household chores.” To know more, access the podcast from this link: https://www.podbean.com/media/share/dir-jrukf-522a516. We highly recommend other episodes of Musafir Stories as well, for your listening pleasure. “On Jan 4, 1991, more than 1200 kms. from the Indian mainland in the Bay of Bengal, a young Indian women anthropologist waded waist deep on the coral reefs to hand over a coconut to a man from the Sentinelese tribe. This was the first ever friendly contact with this hostile tribe of the Andamans. Perhaps no people on earth remain more genuinely isolated than the Sentinelese, one of the few un-contacted people in the world, who have lived in the North Sentinel Islands of the Andamans for last estimated 60,000 years shunning any contact with the outside world. Their antiquity traced to the Palaeolithic age makes them the first inhabitants of India. There had been many attempts previously to establish contact with the Sentinelese, which however failed with contact parties being received with arrows, some even finding their mark. Given the hostile nature of the Sentinelese the contact parties would avoid approaching the tribe directly and watch them from the safety of their ships or leave gifts in remote part of the Island. This was the first time a woman was part of a contact expedition with the Sentinelese and they put their guard down. Presence of a woman indicated that the contact party meant no harm. 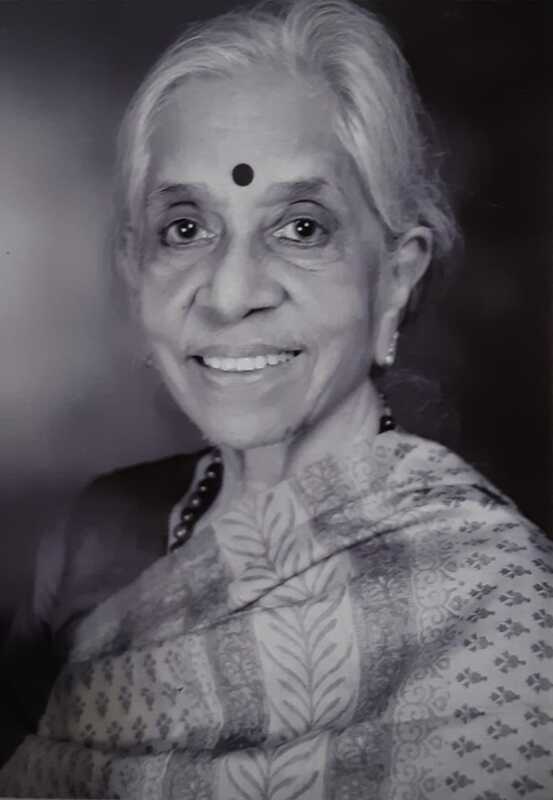 This brave heart anthropologist is Dr. Madhumala Chattopadhyay, then a researcher (initially a fellow and subsequently research associate) with the Anthropological Survey of India, who went on to spend six years researching the various primitive tribes of the Andaman and Nicobar Islands. Madhumala is also the first woman to be accepted by another Andaman tribe, the Jarawas, with whom she established a friendly relationship, especially with the women folk. Unfortunately her accomplishment remains forgotten. Madhumala now works in the middle level bureaucracy of a Central Government Ministry in Delhi handling routine government files, an unseemly situation for a woman who built our first bridge to an unknown world. Madhumala does not wear her success on her sleeve, and is humble to the point of being reticent. Her book Tribes of Car Nicobar and journal papers remain standard reference texts in universities worldwide. We at Probashionline.com met Madhumala and heard her incredible story. She concluded by saying “Never ever in my six years of doing research alone with the tribes of Andamans did any man ever misbehave with me. The tribes might be primitive in their technological achievements but socially they are far ahead of us”. We could but not agree.” Read more here: http://www.probashionline.com/madhumala-chattopadhyay-first-friendly-contact-with-the-sentinelese-jarawa-andamans/? For another journey into the Andaman and Nicobar islands through a different route, pick up Latitudes of Longing by Shubhangi Swarup. It weaves in disturbing encounters between people with delicate descriptions of their engagement with the natural world. As if that is not enough, lurking ghost from the sordid past float benignly among the characters to make their point. This community is staying peacefully in the same place for thousands of years. Never for once they tried to harm anyone outside their territory. Therefore when we invade their safe haven we are the aggressors. They are just protecting themselves. Is second part of the story is brewing up? I enjoyed reading it so much that didn’t realize when it finished and felt that I need more!